Located in the heart of the romantic town of Sa Pa, located at the foot of Ham Rong mountain grandeur, that’s grounds Vietnam Trade Union Hotel in Sa Pa(formerly Sapa Trade Union Hotel). With an area of 17,000 m2 of use, Vietnam Trade Union Hotel in Sapa is an architectural ensemble of the old mansion, built in the 30s of the 20th century and was restored in 1998 -2000. All rooms have balconies overlooking the mountains EAST 3.143m high. Vietnam Trade Union Hotel in Sapa is a 3-star hotel with 100 rooms in the old mansion was designed by French architecture with full amenities and luxury. The rooms have fireplaces warm in winter. From the room, you can admire the beauty of the Muong Hoa valley & Mount Fanxipan. With a staff of professional, enthusiastic, attentive sure to please you during a stay at the hotel. Vietnam Trade Union Hotel in Sapa, there are nearly 70 rooms in the old villa are equipped with full facilities, new furniture and luxurious. The fireplace in room always brings you warm in the winter. Large balcony, overlooking beautiful Muong Hoa valley & Mount Fanxipan always give you a clear space, relaxation and comfort in the rooms. Staffs are enthusiastic, attentive, room suitable for all audiences, the hotel will bring comfort and satisfaction to the customers. The luxurious restaurant has many delicious dishes which are decorated the style of Europe, Asia, the indigenous cuisine, buffet. The space of restaurant may be welcome about 200 guests. 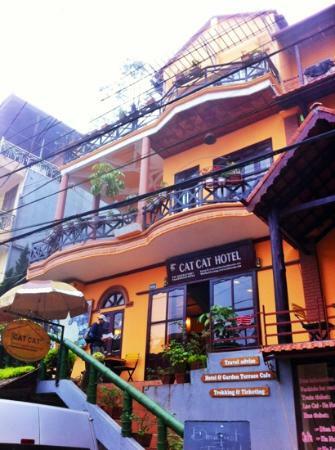 Sapa Eden Hotel is located in a very quite street of Sapa town, very close to the small path to Cat Cat village, you can easily enjoy your peaceful walks to Sa Pa Market and Sa Pa Church just in five minutes. Sapa Eden Hotel offers wonderful views of the valley and Fansipan mount which can impress every tourist during their time staying here. Add: No 60 Fansipan St, Sapa Town, Lao Cai, Vietnam. The lovely boutique hotel has 15 spacious and comfortable rooms that meet international standards. Sapa Eden Hotel is ideal for those who wish to have a great comfort and convenience, stay in a very friendly atmosphere and enjoy the beauty of this “misty town”. Nestled in the heart of Sapa City Center, Riverside Sapa Hotel is an ideal spot from which to discover Sapa (Lao Cai). From here, guests can enjoy easy access to all that the lively city has to offer. For those of you who want to venture out, Rock Ancient Field, Ta Phin Ethnic Commune, Ta Phoi Cam Duong Cave are just some of the attractions available to visitors. Take advantage of a wealth of unrivaled services and amenities at this Sapa Riverside (Lao Cai) hotel. This hotel offers numerous on-site facilities to satisfy even the most discerning guests. Step into one of 32 inviting rooms and escape the stresses of the day with a wide range of amenities such as balcony/terrace, television LCD/plasma screen, desk, internet access – wireless, television. Besides, the hotel’s host of recreational offerings ensures you have plenty to do during your stay. With an ideal location and facilities to match, Riverside Sapa Hotel hits the spot in many ways. Lying against Ham Rong mountain range, facing the romantic Sa Pa lake, North Star Hotel – Sapa in an international 3 star hotel. It is the amazing palace to spend your vacation, enjoy great facilities, a wide range of food and share a nature-exploring experience with your family and friends. Nestled in the heart of Sapa City Center, North Star Hotel is an ideal spot from which to discover Sapa (Lao Cai). From here, guests can enjoy easy access to all that the lively city has to offer. Also within easy reach are Ta Phin Ethnic Commune, Rock Ancient Field, Ta Phin Cave. North Star Hotel offers impeccable service and all the essential amenities to invigorate travelers. Valet parking, shops, room service, Wi-Fi in public areas, bar/pub are just a few of the facilities that set North Star Hotel apart from other hotels in the city. Hotel accommodations have been carefully appointed to the highest degree of comfort and convenience, with mini bar, bathtub, ironing facilities, balcony/terrace, hair dryer in each room. The hotel’s garden, massage are ideal places to relax and unwind after a busy day. North Star Hotel is your one-stop destination for quality hotel accommodations in Sapa (Lao Cai). Great Asian – European dishes are brought to you by experienced cooks and in the most professional style. Experience the best views in all of Sapa, at Cat Cat View Hotel our friendly, family-run hotel in beautiful Sa Pa, Vietnam. We are delighted to be recognised again in some of the most popular travel guides including Lonely Planet and The Rough Guide. We offer a range of clean, comfortable accommodation at reasonable prices. Cat Cat View Hotel has a wide variety of accommodation, including double, twin and family rooms all with ensuite private bath or shower, satellite television, and telephone. Some rooms are available with Ac. All our rooms are sprayed to protect from mosquitos during the summer months, and many have open fires for the cold winter nights. During winter, electric blankets are provided in all rooms and electric heaters can be rented. All our top floor rooms have large communal balconies with some of the best views in Sa Pa.
Our fully furnished apartments are the only apartments of three kinds in Sa Pa. It’s ideal for families who want the convenience of a hotel but also some independence. Apartments are available for short and long-term rental. Follow link for further details. Dine in our top-floor cafe with stunning views of the mountains and valley. Our top floor restaurant serves a variety of Western, Asian and Vietnamese food, and the terrace is a great place to take-in the spectacular views of the mountains and valley. Sip a mango shake in the morning, and in the evening watch the sun go down with a glass of beer or wine. We have an extensive menu and our restaurant is extremely popular among our guests. Try our sizzling stir-fried chicken with ginger, chili and lemon grass; our creamy pumpkin soup for those cold winter evenings; and, our filling hamburgers and cheese burgers. Our local H’mong chefs use only fresh ingredients purchased directly from the local market or from our own vegetable garden. 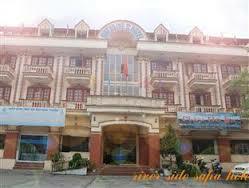 The webpage is about Elysian Sapa Hotel in Sapa Town, Lao Cai, Vietnam. Find out the location, map and overview information for Elysian Hotel in Sapa, learn how to get there and what are the rates for this hotel. Ideally located in the heart of Sapa town, on the most ancient street – still known as Food Quarter, Elysian Sapa Hotel is proud to be one of the best boutique hotels in Sapa. It’s merely 1 minute away from Sapa market, Sapa Church and the legendary Sapa love market. Elysian Sapa Hotel offers a modern and diverse range of services and facilities. The hotel location is very convenient for guests with shopping and banking facilities, as well as eating and entertainment options all very close by. With an array of well-appointed rooms, the boutique Elysian Sapa Hotel offers you a most relaxing & comfortable accommodation in Sapa. elysian sapa hotel All rooms are cozy decorated & fully featured with state-of-art facilities & amenities such as hard-wooden floor, in-room free wireless internet access, cable TV, tea & coffee making facilities, hair-dryer, bathroom with standing shower, etc… All rooms are well maintained in an absolute cleanliness and hygiene. With price points that speak to your common sense and amenities that are respectful of your time and taste, our boutique hotel ticks all the boxes – great price, great service and perfect location. All in all, Elysian Sapa Hotel is the ideal place for astute travelers whether you are visiting Sapa for leisure or business. Come and enjoy your stay in comfort at Elysian Sapa Hotel where professional and genuinely dedicated team is waiting to welcome you and ensure you have a memorable visit to Sapa. Located on the ground floor of the Elysian Sapa hotel, the antique designed Sapa Corner restaurant offers you various tasty authentic Vietnamese dishes and standard Western menu for lunch and dinner. Accomplished with an extensive menu of beverages including fresh fruit shakes, coffees and wines, the restaurant ensures you a wholesome meal with great food, excellent service in a cozy place and fine spirits, all at a price that is most reasonable inSapa town.